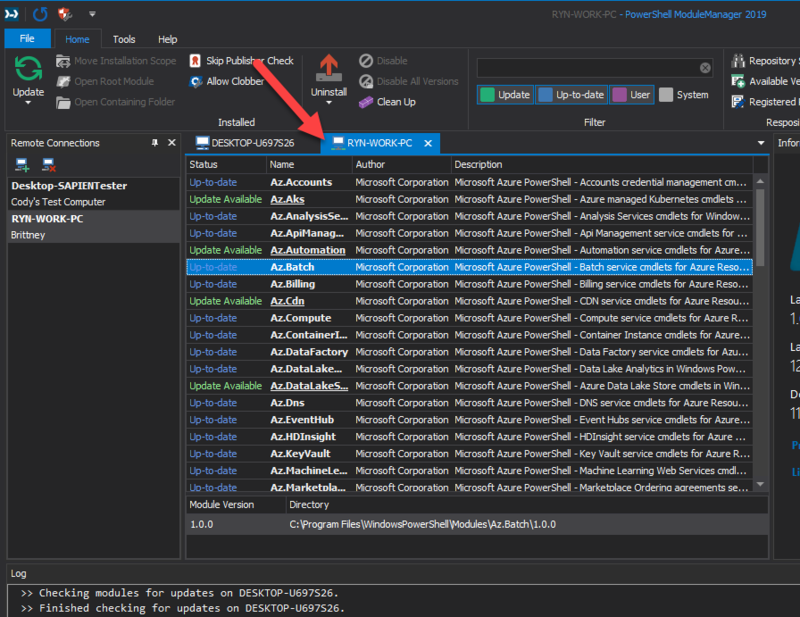 We released a new service build of PowerShell ModuleManager 2019 (v1.1.0). This service build is included as part of the regular update cycle for our subscribers. 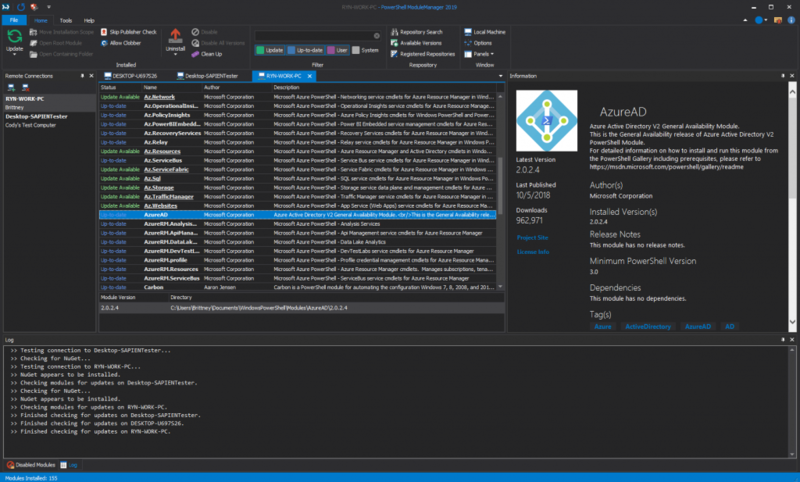 PowerShell ModuleManager now allows you to manage modules on remote machines. 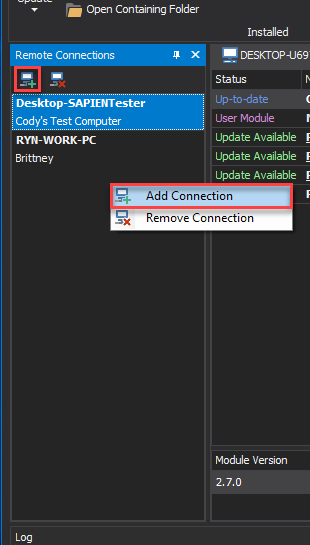 The Remote Connections panel will keep track of your connections. 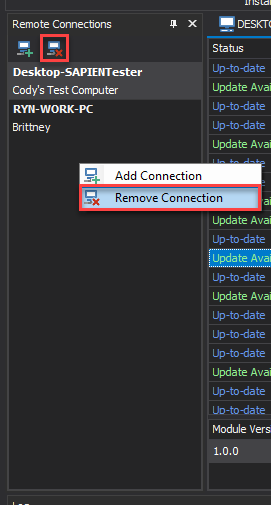 Enter the computer name in the Remote Computer field or search connected computers (…), then enter the credentials and click OK to add the new connection. If a connection cannot be established, the error will display in the Log panel. This will reopen the Local Machine tab. To install with NuGet-based repositories like the PowerShell Gallery, NuGet must be installed via PowerShell. 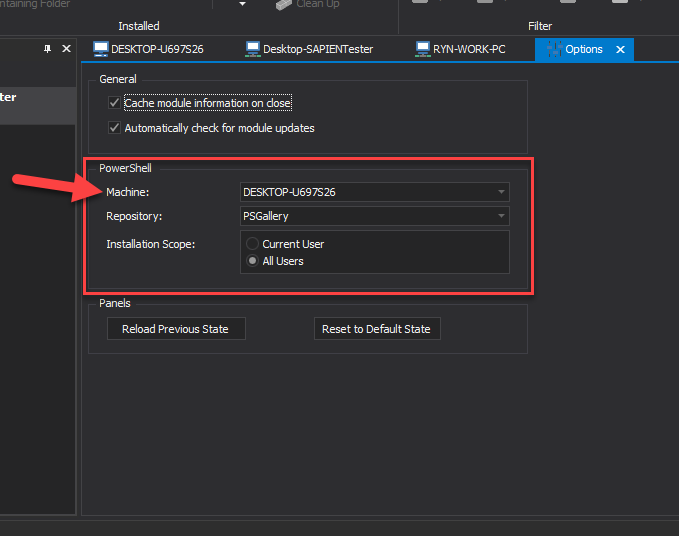 PowerShell ModuleManager will now offer to install NuGet for you when it is determined to not be installed. Come Learn PowerShell With Us!